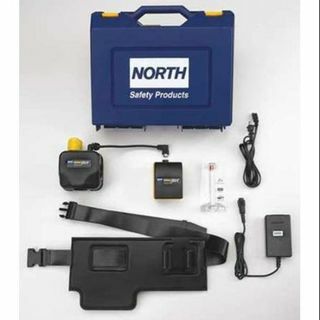 Honeywell Safety 40HE North Compact Air Series 200 Paper, High Efficiency Particulate Air-Purifying (HEPA) Filters | Products | Personal Protective Equipment | Respiratory Protection | Air Supplied Respirator Cartridges & Filters | Cartridges | Scientific Sales, Inc. 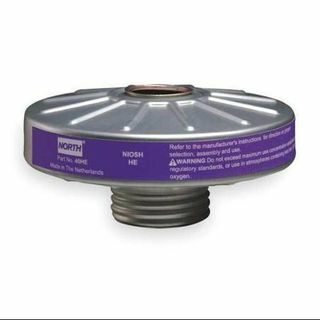 The NORTH HEPA PAPR cartridge is designed for use with the NORTH Compact Air® 200 series powered air-purifying respirator (PAPR) assembly kits, Nos. 16M250 and 16M251, sold separately. This P100/HEPA (high efficiency particulate air-purifying) filter features 99.97% minimum filter efficiency for all particulates.